ZBCA was established in May 2005 in less than 2,000 square-feet in an historic adobe building, located at 826 Canyon Road in Santa Fe, New Mexico. Gallery owners Sandy Zane and Ned Bennett quickly realized that more space and a more prominent location were needed to display and sell contemporary art works. In 2006, a new location was purchased and extensive renovations began the following year. The Canyon Road gallery remained open and very active. 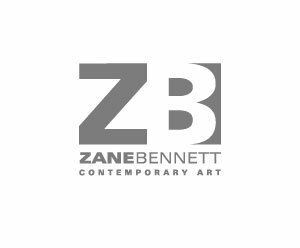 In mid-April 2008, Zane Bennett Contemporary Art unveiled its new home as one of the most ambitious contemporary art gallery in Santa Fe. The two-story nearly 10,000 square-foot space, with multiple, lofted galleries upstairs and down, marks, in many ways, the maturation of the thriving Railyard Arts District - where it is located - and a new contemporary art scene in Santa Fe. The galleryÃ�Â¢Ã¯Â¿Â½Ã¯Â¿Â½s historic home at 435 South Guadalupe was renovated, with meticulous respect for its historic external appearance, as well as for its new role as a leading contemporary art space. Unlike any other gallery in the city, it features a soaring 22-foot-high interior, multiple skylights, glass stairway and catwalks, and an airy, spacious brightness more reminiscent of SoHo than of low-slung, adobe Santa Fe. The galleryÃ�Â¢Ã¯Â¿Â½Ã¯Â¿Â½s greatest distinction, however, is its approach to nurturing artists and connecting them with the ideal collectors. We are pro-active in finding, promoting, commissioning, and presenting some of the most important contemporary artists, established and emerging, from the United States and abroad. Described as one of the top galleries in Santa Fe, ZBCA acts as a conduit between people who want to own superb contemporary art and the artists who are, at this moment, making it. We want to be a true center for contemporary art in this city, as well as globally.